As the year draws to a close, many look back at what they've experienced or accomplished in 2015 and here the two of us think about what amazing things we've eaten and cooked. Sometimes it's difficult to recall what happened when and where all we drove our faces into food but without a doubt, we had the best meal of our lives this past year. 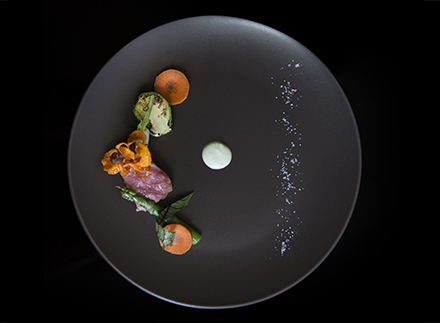 As we consume more and more on food adventures and plate after plate of creative dishes, we start to see the pattern and trends emerge among chefs. Occasionally, there are lulls of eating where the food no longer tastes inspired but rather follow a train of thought that was already seen at another restaurant. Innovation, where are you? we ask every once in a while. That was not the case a the end of July though. No, we had a reservation at n/naka in Los Angeles. I had just come off of a flight from New Orleans where fantastic food is bounteous. Duc picked me up from the airport where I had changed into an appropriate evening dinner dress, and we headed to the notorious restaurant with a friend...and it was mindblowing. To our discredit, we had only heard of n/naka after seeing it featured as one of the six restaurants in Neflix's series "Chef's Table" which showcased restaurants around the world that were doing amazing things with food and had passionate chefs driving the progress forward. No matter that we had only just heard of this place that was practically in our neighborhood (other features were from Modena, Italy; Buenos Aires, Argentina; Järpen, Sweden; Melbourne, Australia; and New York City, USA) - we had to go. Reservations were difficult to get so we aimed it for the month of July as a birthday celebration for me; to get something in July, we booked in April. 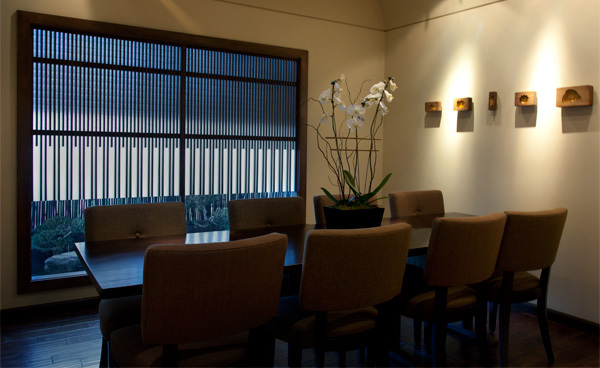 The restaurant itself is helmed by Chef Niki Nakayama and runs its courses in kaiseki style. What does that mean? 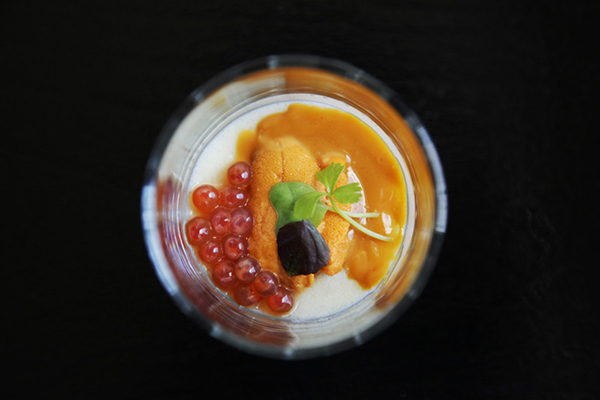 Kaiseki is made of multiple courses artfully arranged and carefully planned in terms of composition, temperature, texture, color, and sequence. 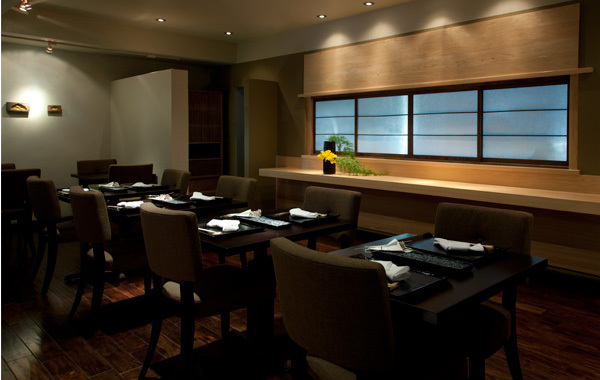 The Japanese dinner is a tradition that harks to the 13th century and focuses on local ingredients. 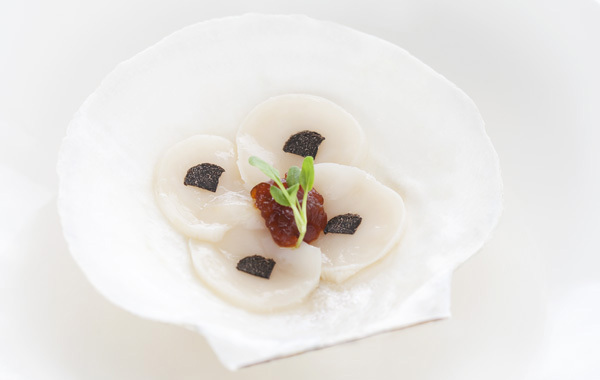 At n/naka, it translates into a 13-course masterpiece that is perfectly paced and skillfully served. The service was impeccable and very accommodating. The attention to detail was remarkable, and to know that the chef never serves the same thing twice to a guest (they track every meal every guest has had) if they return was impressive. Right upon being seated, we knew we were in for a treat but did not know it would turn out to be the best culinary experience of our lives thus far. When it ended and we met the chef, it was so fulfilling to see a passionate but humble chef just doing what she loves. I took quick pictures with my phone in the dim lighting for my own memory's sake but we did not spend time on photographing each course lest the atmosphere be ruined. All images in this post were pulled from the restaurant's website but are good representations of the type of courses we went through. What amazed us was how every single course the followed a previous one managed to be even better than its predecessor. How could a chef keep improving upon perfection? They were creatively done with simple ingredients that were given the due respect that they deserved for their natural beauty. A dish as simple as crab and corn soup was transformed into a soul-warming experience with the power of Chef Nakayama's hand. Melt-in-your-mouth wagyu came sizzling on a stone and made us all close our eyes in wonder. Sashimi was silk on the tongue. Bright colors and texture shone through where needed, and smooth, creamy richness coated the palate at pointedly-timed, opportune moments. Unique produce piqued our minds, and differing cooking techniques kept us curious for what would come next. Not only was the food excellent but the alcohol pairings were spot-on. I could write on and on about each individual plate but the experience must be felt personally, and I encourage you to visit n/naka. We are again, actually. Come February, I'm hoping for the second best meal of my life when we re-visit the inspirational place.